Lifelong proactive product support is one of our core strategies. Our Services have been designed from experience we gathered in helping our clients improve business performance through Customer Satisfaction and Loyalty. With more than 15 service professionals, we support our customers throughout the whole lifecycle of their equipment. Our CSS is an important company asset to avoid your equipment downtime. Genuine SKM parts are periodically quality checked. Our research and development group is not only improving the spare parts product quality but also developing products for lower maintenance needs and better customer satisfaction. We combine integrated servicing solutions with highly reliable maintenance and parts support. Professional advice from selecting the right parts to choosing the best maintenance and servicing package. The promise of Quality Service. 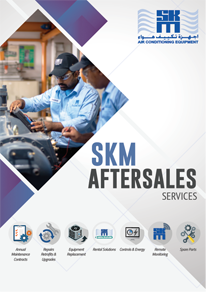 SKM has always believed and assured quality services in all our projects and services we undertake, be it a supply of equipment, spare parts, a project, installation or maintenance. Our services not only end with fulfilling the customer's requirement of a request but we believe in taking our services a step forward with the continuous follow-up. 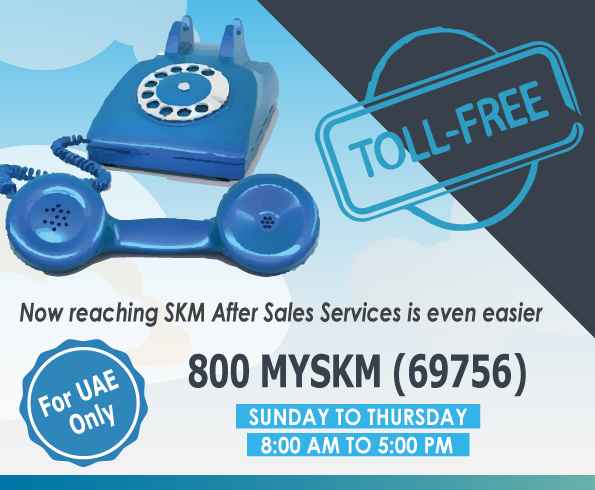 This is the key to why our clients opted to deal with SKM time to time with new projects/requirement which helps SKM to acquire new clients from competitors. The business of Air conditioning industry has grown with a tremendous speed in past few years, and we believe this growth will continue with time. SKM Air conditioning Equipment is fully equipped and prepared for market growth as we are in the forefront of the industry as market leaders. Our vision is, therefore, to sustain our position as market leaders and achieve our goals of setting standards and to satisfy our clients in every aspect of their requirement. We sincerely hope to be at service to our clients today and in future in the supply of Air conditioning equipment & Spare parts. SKM Air conditioning Equipment has been an HVAC manufacturer, spare parts and equipment supply company representing international brand components. We take great pride in introducing ourselves as a leading manufacturer & supplier of HVAC equipment and spare parts. 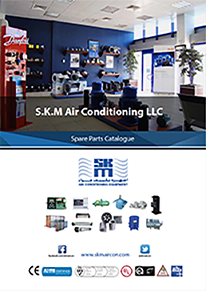 SKM Air conditioning Equipment LLC holds inventory of major Air conditioning equipment spare parts.